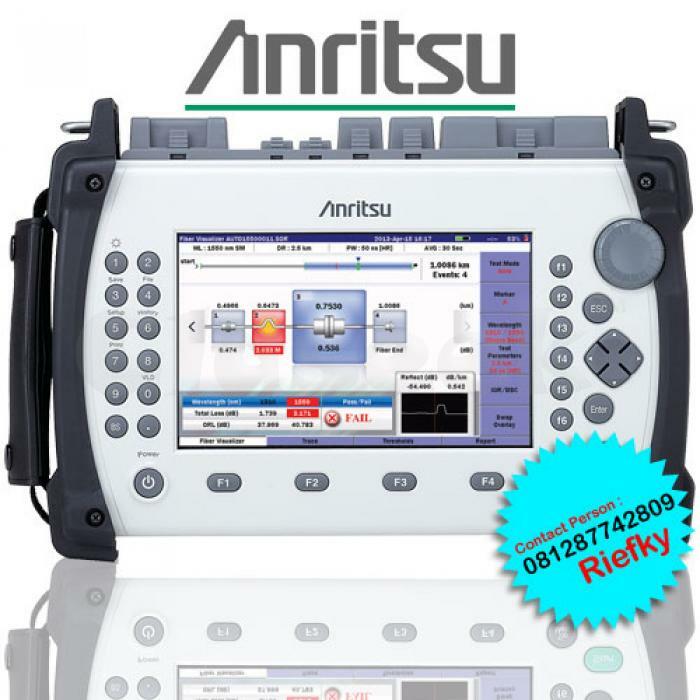 » OTDR Anritsu MT9083A! Harga Dijamin Paling Murah! Optical fibers are a key technology in today s modern communications systems, including access networks such as FTTx, CATV, and optical LANs. Moreover, optical-fiber technologies are playing increasingly important roles in mobile communications and digital broadcasting systems. Technicians maintaining these diverse systems are forced to carry a large variety of test equipment on-site, including OTDRs, Light Sources, Optical Power Meters, Visible Light Sources, etc., as well as a notebook computer for evaluating the FTTx QoS. On the other hand, fiber construction requires measuring instruments with different functions and performance. As an example, FTTx access networks use single mode (SM) fiber whereas optical LANs use multimode (MM) fiber. In addition, core and backbone networks utilize long fibers while optical access networks use short fibers, both requiring different types of measuring instruments with different performance. But now Anritsu s new line of MT9083A ACCESS Master OTDRs solves all these problems by providing all the measurement functions and performance required for optical fiber construction and maintenance in a compact, lightweight, all-in-one unit that eliminates the burden of carrying many different test sets and instruments on-site. Whatever your work, construction or maintenance, long haul or intra-building, Anritsu has an MT9083A model for your needs.